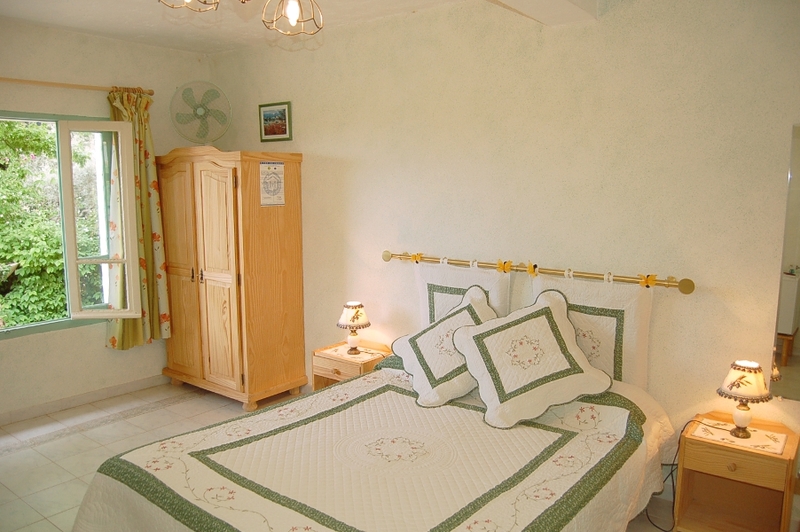 The Olivier guest room faces north, a good protection against the very hot weather in July and August. 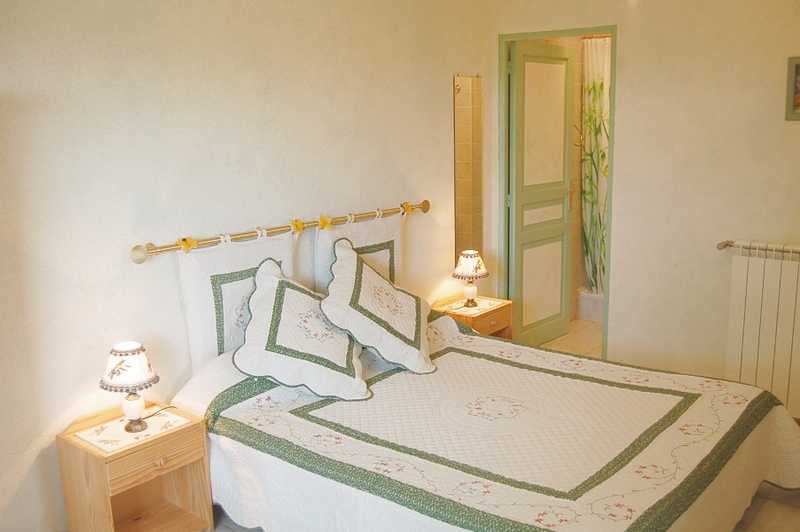 Its green and white colors evoke the colors of olive-trees and give you a feeling of peace and rest. 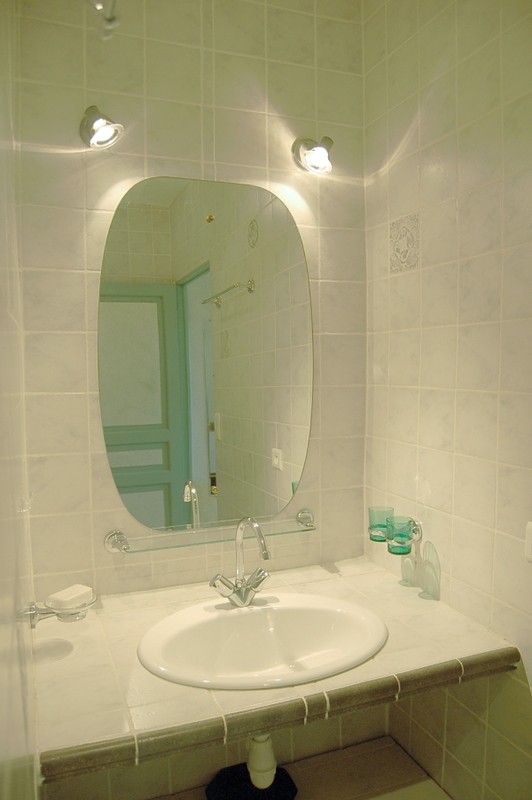 15 square meters in area, also self-contained, it benefits from the same level of comfort as the MIMOSA bedroom with its ensuite bathroom and toilet (separate). We can add an extra bed. 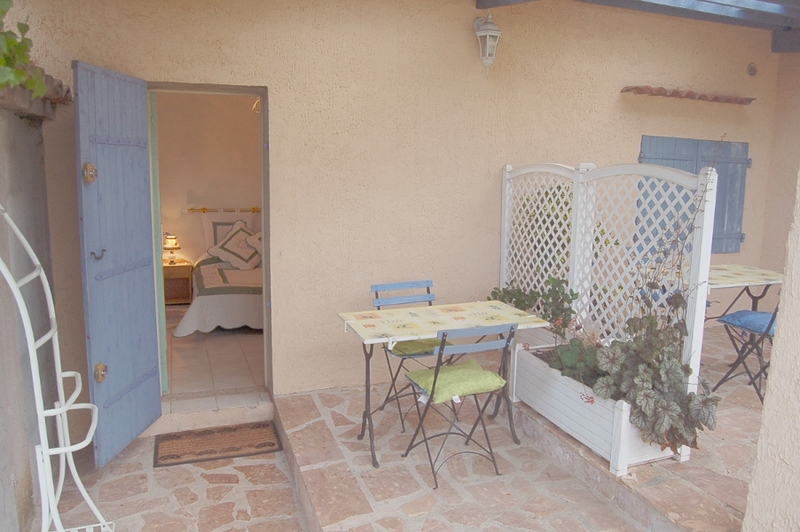 It faces the vineyard and also has a very nice terrace equipped with table and chairs. 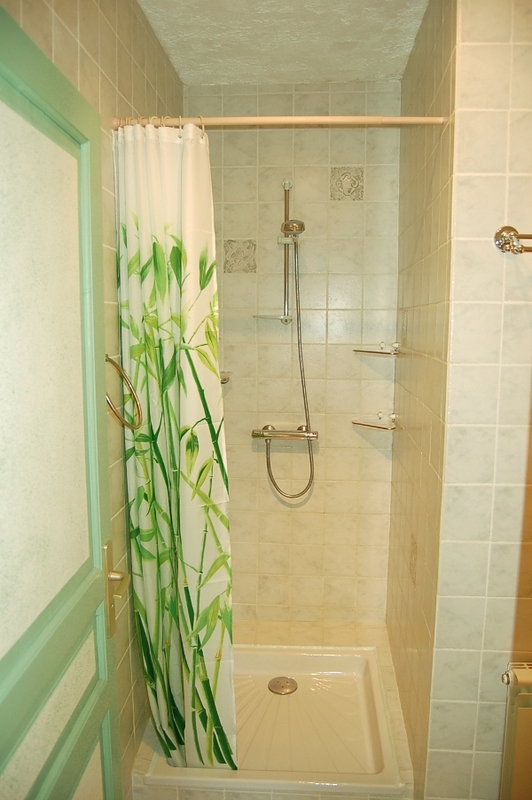 with its shower and its white tiles.